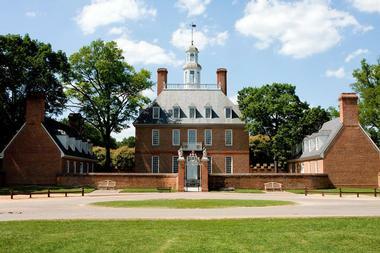 Williamsburg, Virginia is a curious mix of a living museum and a lively college town that is a delight to visit. Stroll through the 300-hundred-year-old streets of Colonial Williamsburg, visit the second oldest college in the country, admire the colorful Williamsburg Botanical Garden, and have fun at Busch Gardens. 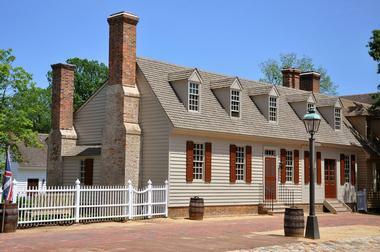 Here are the best things to do in Williamsburg, VA. It is an amazing feeling walking through the site where some of the first British colonists to the New World walked and lived. Located on Jamestown Island, Jamestowne was the original capital of Virginia Colony and the first English permanent settlement in North America. The life of the early colonists was not easy – they suffered diseases, hunger, and bloody conflict with local Powhatan Indians. The city burned to the ground in 1676, and all that remains is a brick church tower that stands today as a reminder of human resilience. Walking through the Colonial Williamsburg and passing by people in historic 17th or 18th century clothes may feel like you stumbled into the middle of a movie set. They even talk using the diction and grammar of the times, which is just different enough that we cannot understand them. You will pass by beautifully restored buildings as the Governor’s Palace, the Courthouse, the Raleigh Tavern, and the Capitol. The restoration is so excellent that it is hard to believe that all those lovely old buildings have been around for hundreds of years. If you are wondering what to do in Williamsburg, Virginia with kids, this is a great place to start exploring. You can also listen to the music Jefferson liked, watch the 18th century dancing, or check one of the city’s many excellent restaurants. Built in 1706, the Governor’s Palace served as a residence to seven royal governors and the first two Virginia elected governors. Everything about the palace was meant to impress and convey British wealth and power. The original palace burned down in 1781 and was meticulously reconstructed in 1930, including its grand ballroom, elegant furniture, and the huge display of period swords. Visit the buildings behind the palace – they are original and house an elaborate kitchen and scullery. Watch the demonstration on the old way of cooking, brewing beer, or making chocolate. Reconstructed original formal gardens make for a delightful space to rest and relax from the tour of the palace. 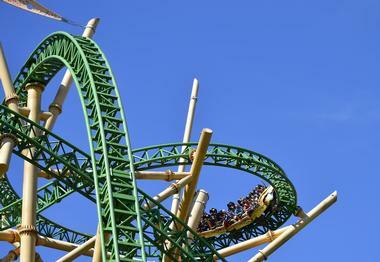 Busch Gardens Williamsburg will bring out your inner child regardless of your age. This thrilling theme park is designed to send you to Europe with beautiful landscaping and recognizable sights from Italy, France, and Germany. The Gardens have over 30 attractions of all kinds, from heart-stopping roller coasters to exciting Broadway-style shows and live animals. Special attractions for the kids include Land of the Dragons and Sesame Street Forest. 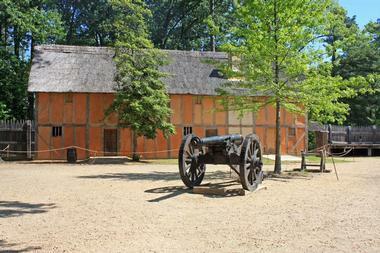 If you are looking for fun things to do in Williamsburg, Virginia with kids, this is a great place to visit. The rides at Busch Gardens are among the best in the world and include monsters such as Tempesto, with a famous “loop the loop.” Check out the popular Griffon, which will take you at speeds of over 75mph and up 205 feet in the air before dropping you down screaming. If you are not an adrenaline-junky, try Verbolten, which will take you on a tour of the Black Forest and drop you 80 feet over the Rhine River. The Bush Gardens are famous for their excellent restaurants, which is another exciting aspect to check out once your stomach settles down. 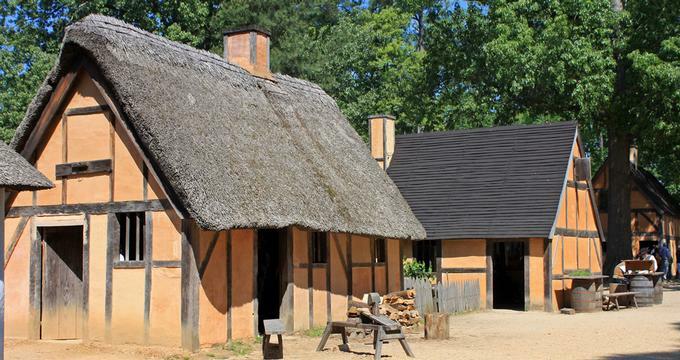 After strolling through the archeological digs of the original Jamestown, your imagination will be ready for the Jamestowne Settlement, a museum and a reconstruction of the life and culture of 17th-century Virginia. Through a series of gallery exhibits, this living-history museum tells the story of the life of the early English settlers from the time they arrived in Jamestown in 1607. Check out the introductory film to get the full picture of the historic events, board the replicas of the three ships that brought the original English settlers to the New World, and visit a recreated village of Powhatan Indians. The museum store has some interesting souvenirs, and the Jamestown Settlement Café offers food and drinks if the kids get too restless. 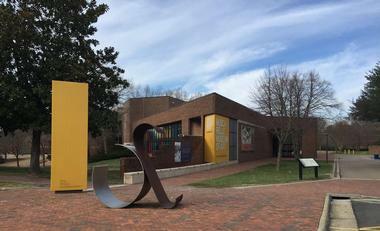 The Muscarelle Museum of Art is part of the College of William & Mary and is located at Lamberson Hall on campus. The museum is a collection of gifts of art given to the college throughout 300 years of its history and is one of the top Williamsburg VA attractions. Until the opening of the museum in 1983, the art was scattered throughout the college. Once placed in the museum, it was possible to not only better preserve the art but to also incorporate it into the College’s art curriculum and share it with the larger community. Some of the most significant treasures are paintings by Hans Hofmann, Georgia O’Keeffe, Pablo Picasso, John Singleton, Henri Matisse, and many historically significant English and American Colonial painters. 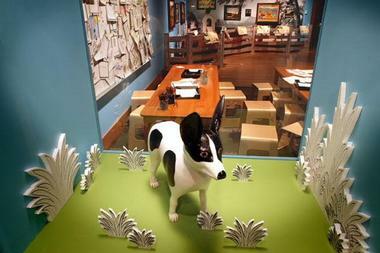 Like all folk art museums, the Abby Aldrich Rockefeller Folk Art Museum will stretch your understanding of what art is. You will find an amazing diversity of objects, paintings, and sculptures created by very talented local craftsmen and self-trained artists. They record everyday life and use bold colors and interesting materials, simple shapes, and an imaginative use of fabrics. It is one of the largest folk art collections in the country. 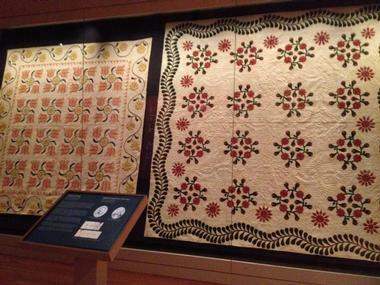 Besides its permanent collection, the museum also often holds temporary exhibits of folk art on loan from various other museums. Some of the most interesting exhibits are Down on the Farm, with a carved wooden dog Prince who explores the countryside in toys, paintings, and sculptures, as well as exhibits of folk musical instruments used by folk musicians in the 19th and 20th centuries such as banjos, dulcimers, and fiddles. The DeWitt Wallace Decorative Arts Museum is a museum of antiques opened in 1985 with a significant collection of English and American antiques. The collections include furniture, ceramics, glass, prints, paintings, firearms, and textiles from the 17th to the 19th century. Permanent exhibits include the 1773 Public Hospital, an exhibit on the treatment methods for mental illnesses. The furniture collection contains English and American pieces created between 1680 and 1830 and contemporary American folk art. The Silver from Mine to Masterpiece exhibit shows almost 150 objects of beautiful silver from Colonial Williamsburg. Wilkinson Gallery is home to an impressive collection of dollhouses, and it includes the enormous 1900 fully furnished Long Island Dollhouse. 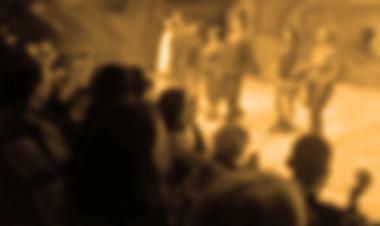 The museum also offers popular lectures and concerts in the Hennage Auditorium. 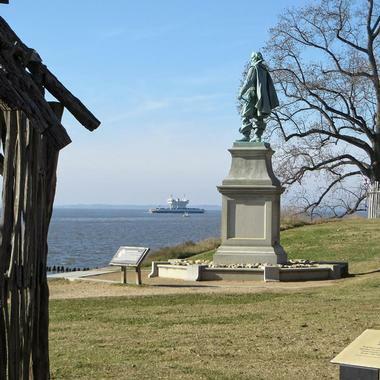 Colonial National Historical Park includes the most historically important sites in North America: Historic Jamestowne, the first English permanent settlement in the New World, and Yorktown Battlefield, the site of the final battle of the 1781 American Revolutionary War. Representing the start and finish of English colonial America, both sites are located on the Virginia Peninsula and are connected by the 23-mile long scenic Colonial Parkway. Colonial Park also includes the 17th century plantation Green Spring, which was the home of Sir William Berkeley, Virginia's colonial governor, and the Cape Henry Memorial, erected at the probable site where the first colonists of Jamestown arrived in 1607. 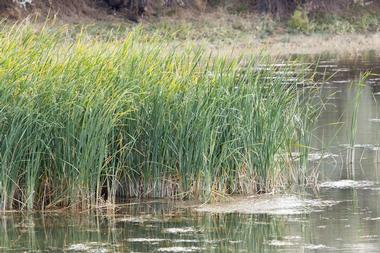 Besides historic sites, the park is also a beautiful natural space with forests, wetlands, streams, and fields. Water Country USA, open from the end of May to the beginning of September, is a waterpark in Williamsburg, Virginia. The park has a variety of fast slides, pools, and lounging areas, making it an inviting spot for the entire family. 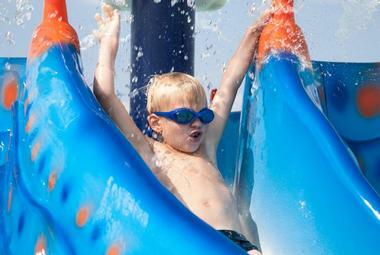 Water Country currently has 11 main waterslides as well as four slides specifically for children. The wave pool and the floating river are open to all ages. Water Country USA also offers special family passes that are valid for a year. Multi-park passes that give visitors access to Water Country USA as well as a nearby park called Busch Gardens are also available. 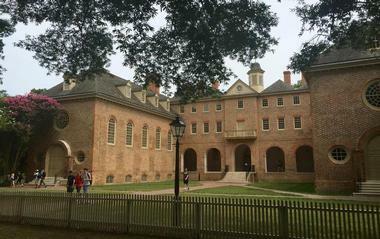 The Wren Building is located on the campus of William and Mary College. 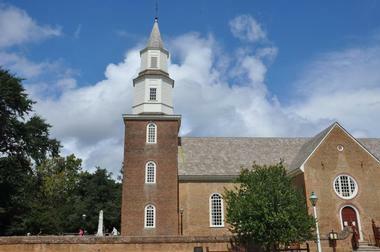 Aside from its use as an academic facility, the Wren Building served as the temporary government headquarters for Williamsburg from 1700 to 1704. A fire destroyed the Wren Building in 1705, but the local government rebuilt it in 1716. After enduring a total of three fires, the Wren Building achieved its current title as the oldest college building still standing in the United States. Now the Wren Building houses classrooms as well as faculty offices. Bassett Hall was the home of John D. Rockefeller, Jr. and his wife Abby Aldrich Rockefeller, and visitors can take a guided tour of this classic home and its surrounding gardens. In the home, guests can view the Rockefeller's personal collection of ornate furniture, art, and figurines. The Bassett House also holds regular events where guests can learn about specific types of art and then make their own creations to take home. 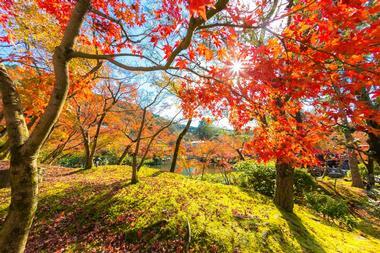 Tour availability and scheduled events vary depending on the time of the year. Paying for admission to Bassett Hall also gives guests access to other nearby attractions. The Jamestown Glasshouse is one of the main attractions from America's first colony. In the early days of Jamestown, officials believed that glassmaking could be a profitable venture. Ultimately, it didn't end up being the right commodity for Jamestown's economic survival, but the glasshouse where most of the glassmaking process took place still stands. 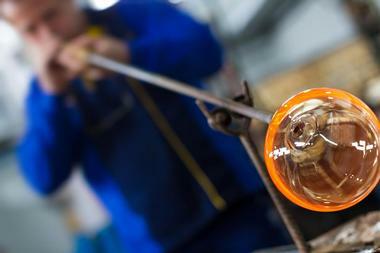 Today, visitors can watch as glassmakers create objects using the same techniques from more than 400 years ago. 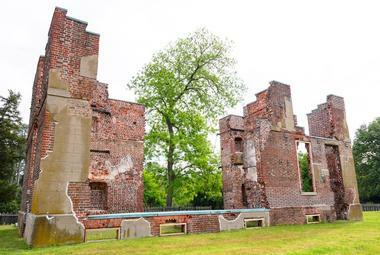 Guests can also view the original furnaces that early colonists used for their glasswork. Lastly, the glasshouse has its own gift shop that sells original pieces of glass artwork. At York River State Park, two unique habitats blend to create an area teeming with marine and plant life. The park is also home to fossil beds and a variety of Colonial and Native American artifacts. Hikers, bikers, and horseback riders can enjoy York River's 30 miles of forest and coastline trails, and children will find plenty of fun at the playgrounds and pavilions scattered throughout the park. York River State Park also has a boat ramp to provide fishers with easy access to the water. Lastly, the visitor's center at York River State Park is a great place for learning about the history, uses, and habitat of the York River. The Williamsburg Winery gained attention from locals and visitors in 1988 when it released its first critically acclaimed wine. Today the winery consists of a tasting room, several restaurants, and an inn. Two main tastings—a fine wine tasting and a reserve wine tasting—are available for Williamsburg Winery guests throughout the year. Tours and restaurant meal packages are also popular options among winery visitors. 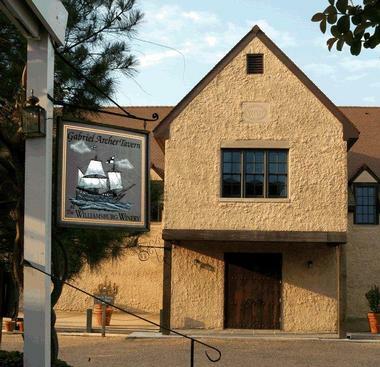 Wedmore Place, the winery's main hotel, is a European-style inn with 28 custom-designed rooms. Guests can enjoy scrumptious meals paired with fine wines at the hotel's Cafe Provençal. The Public Hospital Museum served as a treatment center for the mentally ill during the 18th century. 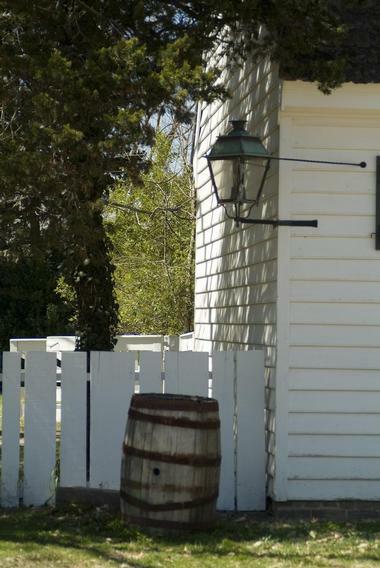 It was the first building of its kind in North America, and historians often describe it as “part jail, part infirmary.” At the museum, visitors can learn about the bizarre and macabre methods doctors used to treat patients throughout the 1700s. In addition to touring the hospital, guests can participate in the museum's special events, which are held throughout the year. Completed in 1715, Bruton Parish Episcopal Church was the first cruciform-shaped church in Virginia. It is 75 feet long and 28 feet wide. The church quickly became a center of town activity, and as it grew in prominence, it underwent many enhancements and additions and received some of its biggest treasures. In 1756 its highly valued organ was installed, and in 1751 Bruton acquired the rare Book of Common Prayer and the Holy Bible in 1753. 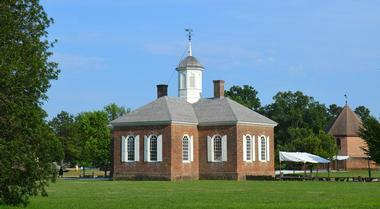 George Washington, Thomas Jefferson, and Patrick Henry all attended Bruton. After the Battle of Williamsburg in 1862, Bruton was used as a hospital for Confederate soldiers, and it was completely renovated as part of the restoration of the historic Williamsburg in 1939. Today, it is a authentic replica of the original magnificent church. Bruton is an active parish church, but it is also open to visitors and offers over 120 concerts and recitals on its treasured organ as well as performances by visiting choral and instrumental groups. The Williamsburg Premium Outlets are a collection of more than 135 popular stores. This outdoor mall is close to several large communities, including Williamsburg, Virginia Beach, Richmond, and Norfolk. Local shoppers can join the outlets' VIP shopping club, a program that provides shoppers with an extensive coupon book and sends timely updates about ongoing sales and promotions. In addition to mainstream brands, the outlets have a variety of high-end stores. 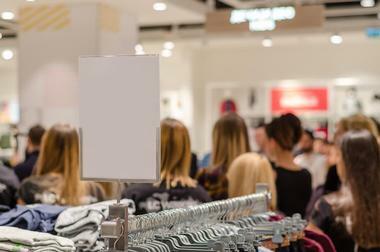 Burberry, Calvin Klein, DKNY, and Tommy Hilfiger are among the mall's specialty shops. In a city as old as Williamsburg, you are sure to find a ghost or two. Join Williamsburg Walking Tours to try to spot a few. If ghosts are not your thing, Walking Tours also have Historic Tours and African American History tours. These 60-minute tours will take you walking through the streets and parks of historic Williamsburg and will bring to life the history and culture of American British ancestors. The Jamestown-Scotland Ferry is a free ferry service that takes visitors and vehicles across the James River. 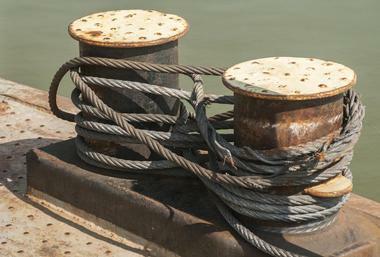 The fleet is composed of four vessels with varying capacities. Each ferry makes the 20-minute trip across the river multiple times each hour throughout the entire day. Services run seven days a week, with exceptions for Thanksgiving Day, Christmas Day, and New Year's Day. The ferry can transport bikes, motorcycles, campers, and trucks along with regular passenger vehicles. All passengers are screened by security before taking the trip to ensure the safety and comfort of all travelers. The Kimball Theatre is located in Williamsburg's Merchant Square. This quaint Colonial building is the regular site of plays, musical performances, and film screenings, and performers from the nearby College of William & Mary give concerts at the Kimball Theater throughout the school year. On weeknights the Kimball Theater plays movies in its main theater, and on occasion the theater has midday screenings. Movie tickets are $8 per person. 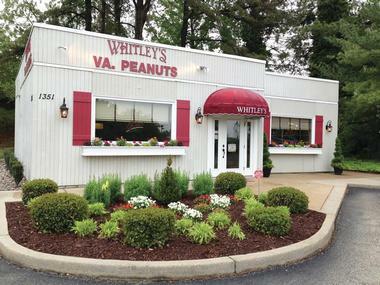 For more than 30 years, Whitley's Peanut Factory has produced peanuts that are prized throughout Virginia for their rich flavor. In addition to selling classic salted peanuts, the factory makes a variety of uniquely flavored mixes. Sea Salt & Caramel, Butter Toffee, Pumpkin Spiced, and Bourbon Barbecue are just a few of Whitley's specialty flavors. Whitley's Peanut Factory also sells peanut butter, soups, and mixed gift tins. Devoted patrons can buy one of Whitley's four club plans, each of which includes a shipment of peanuts monthly, bi-monthly, or quarterly. Club members can opt to receive one flavor of their choice or a variety of flavors. AleWerks is known as Williamsburg's hometown brewery. It was established in 2006 and now supplies fine beers to restaurants and stores throughout Virginia, Washington DC, and Maryland. The AleWerks brewing facility hosts daily tours that end with a beer tasting in the brewery's taproom. The 40-minute tour includes information about AleWerks' history, an overview of AleWerks' brewing process, and a visit to the Taproom. Tours cost $8 and are available to guests over the age of 21. 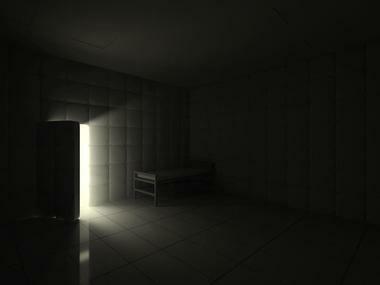 Visitors may want to call ahead since the tours tend to fill up quickly. Waller Mill Park is a 2,705-acre park with its own reservoir, which offers plenty of space for people to kayak, canoe, and fish. A tunnel connects the upper and lower portions of the reservoir so that boaters have easy access to both sides. On land, visitors can enjoy the park's playgrounds, pavilions, and sports fields. The park also has its own 9-hole disc golf course. Waller Mill Park offers daily as well as annual disc golf passes for returning visitors. Several miles of hiking trails are contained within Waller Mill Park, and there is also an adjoining dog park. 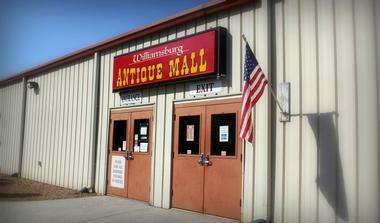 The Williamsburg Antique Mall has been in business since 1997, and more than 300 antique dealers display their unique finds in this 45,000-square-foot facility. Antique furniture, vintage jewelry, and rare collectibles are among the thousands of trinkets for sale in the Antique Mall. La Petite Tea Room, the Antique Mall's equivalent of a food court, serves soups, salads, and sandwiches to hungry treasure hunters. Shoppers can also add their own antiques to the mall's vast collection by visiting the consignment area. Lastly, the mall has an abundance of sales representatives who are trained in all things antique.